The Illinois Judges Association is proud to announce it is creating a new In-Schools program targeted to inner-city youth in Illinois. The new program features professional video clips of Chicago's Police Superintendent, the Cook County State’s Attorney and a young man who was sentenced to natural life in prison at the age of 15. The presentation by local judges will educate the youths about police interaction, social media, and how being with the wrong people can land you in jail. The judges will lead discussions in the classroom on these topics of particular importance to young people. 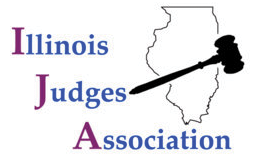 “The Illinois Judges Association met with focus groups of students in urban areas to determine what they would want to hear about if a judge came to their schools. We are excited to be making this program to specifically address problems that today’s urban youths face on a daily basis,” noted Justice Eileen O’Neill Burke who is spearheading the creation of this video. Justice Burke is the Secretary of the Illinois Judges Association and has served as Chairman of the IJA's in-schools programs. Chicago Police Superintendent Eddie Johnson grew up in the projects in Chicago. He tells not only his own story but he will also talk about behaviors police see that cause them to approach youths. Superintendent Johnson will discuss how to interact with the police in a way that keeps everyone safe. 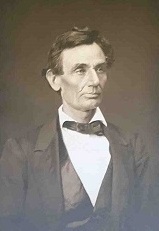 He is also a role model of someone who succeeded in spite of where he came from. Cook County State’s Attorney Kim Foxx will explain the difference between the juvenile and adult system. She will tell the youths how prosecutors can use what people put on the Internet as evidence in a case. Her participation in this project as the first female African-American State’s Attorney in Cook County is also a powerful example of accomplishment from someone who grew up in an impoverished background. Finally, Marshan Allen will tell his story about how, at the age of 15, he acted as a getaway driver in a robbery. Two people were killed as he waited in the car. He was convicted of murder on a legal theory of accountability and sentenced to natural life. After the law changed, Marshan was released after 25 years. His powerful story of his 25 years in prison will convey in a profound and moving way that being with the wrong people can ruin a life.